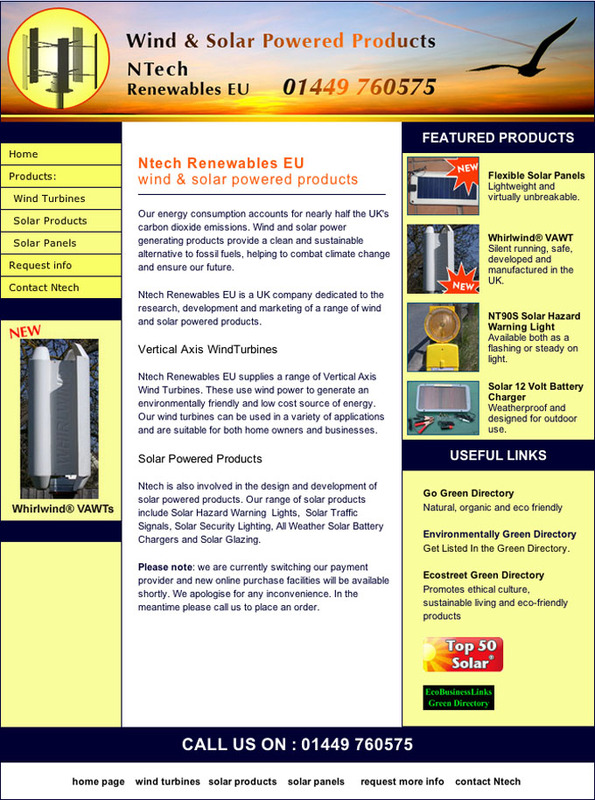 Ntech Renewables EU is a UK company dedicated to the research, development and marketing of a range of wind and solar powered products. The client needed to move his website to a new company and chose us to manage and host the site for him. We transferred the site files and then updated the products and made some improvements to the layout. We also redesigned the banner and added an animated gif of a wind turbine. We did a fair amount of backlink building as well as optimising the site for the search engines. As a result visits increased dramatically and the client began to receive enquiries from the site.